We've seen the cost of Windows devices fall to incredible lows in recent years, and it looks like that trend will continue with Windows 10. Microsoft's next-generation OS finally reached its crucial RTM milestone today, ahead of its official launch on July 29. 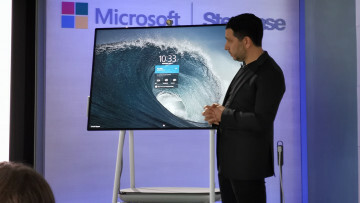 Manufacturers such as Toshiba have already unveiled a range of new devices that will go on sale with Windows 10 onboard, and some of these will be available to buy on launch day. You'll have to wait a bit longer for one device that was revealed today, but if you're looking for a low-cost laptop, it may well be worth the wait. 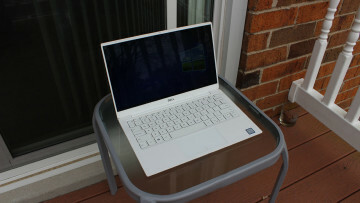 At its Worldwide Partner Conference in Orlando today, Microsoft briefly showed the Acer Aspire One Cloudbook. The device will be available in two sizes - 11-inch and 14-inch - and will go on sale in mid-August, but what makes this notebook particularly appealing is its price. 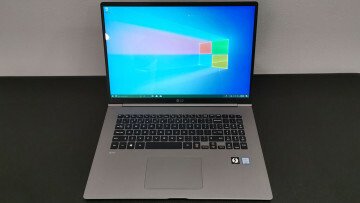 It will go on sale with Windows 10 pre-installed from just $169, making it one of the most affordable Windows notebooks ever - easily competing on price with ultra-low-cost Chromebooks. 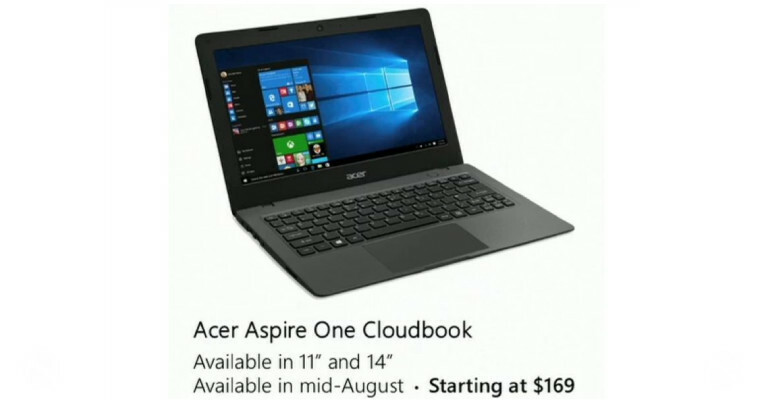 Unfortunately, no further details are available yet on the Aspire One Cloudbook, but given its tiny price tag, it's likely to have some pretty basic specs - don't expect a touchscreen at that price, for example. Still, the device is just a few weeks away from going on sale, so it shouldn't be too long before we hear more about it. Incidentally, if the 'Aspire One' name sounds familiar, Acer sold a netbook with the same name back in 2008, with Windows XP Home and an 8.9-inch display with 1024x600px resolution.